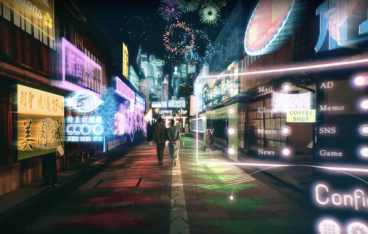 Psychic VR Lab Co., Ltd(Head Office:Tokyo Shinjuku, CEO Masahiro Yamaguchi) known as the company that provides the VR creating platform STYLY, is starting a new project with a MR and city theme in Shibuya-ku as the first project for the MR Salon “TIMEMACHINE”. The project aims to prototype how MR will mix into people’s lifestyles and how the future will evolve, with TIMEMACHINE partner companies using “STYLY MR”, a development environment made by Psychic VR Lab. One example is the planning of MR art events to retransmission the graphic art culture of Shibuya-ku. We have received a comment for this project from Mr. Ken Hasebe, the headman of Shibuya-ku. Note:Companies from various industries and fields, such as Psychic VR Lab, Hakuhodo Product’s, and 2 others are currently TIMEMACHINE PARTNER companies, as of March, 2019 . STYLY MR is a MR platform where developers can edit and save MR layers suited for various environments without the need for complicated operations such as building applications, and can also stream immediately to any sort of device. There are functions such as changing layers, showing or hiding objects or other interactive functions, so the user does not need programming skills to enable actions. Note: A layer in STYLY MR means a layer of the space around you. In the near future, people will start to switch through REAL⇄MR⇄VR, and layers will become a new unit for everyday life. TIMEMACHINE is a shared workspace where partner companies arrange equipment and a development environment, in order to share networks, communities, and knowledge. We plan to contribute to the development of MR, and propagate how MR will connect technology with our social life, change our lifestyles, and create new culture for fields such as art, fashion, music, food, architecture, education, and many more. We firmly believe that the development of MR is going to largely change our lifestyles. PARCO’s core business is the shopping center business, development and management of commercial facilities, and also works on entertainment businesses. Digital Garage’s core business areas are online payment, web marketing, and funding and training startup companies. They also manage “DG Lab”, a open innovation R&D organization. Digital Garage strives to contribute to make a better society by connecting internet business to various fields, shaping contexts, and creating new businesses. High resolution materials can be downloaded from here.